Many projects begin with the client asking for a cost estimate, which is not always a straightforward task. We typically need to ask a few questions ourselves: Is there a briefing? What file format will we receive and how should the final work be delivered? Should we quote a flat rate or our hourly rate? How fast a turnaround is required? Our team of creative professionals wants to understand your exact needs, so please bear with us. 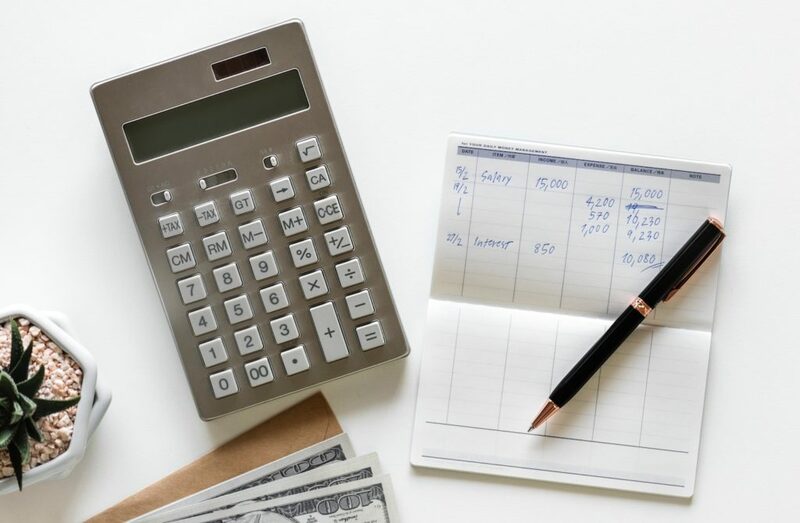 Whether you need an English copyeditor, a translation quote or a full-blown content marketing strategy, we need to know more about what you want before we can make a realistic cost estimate. So, how much will it be? As a “boutique” agency, steelecht is positioned to provide an exceptionally high level of quality, consistency and reliability – at a competitive rate. Our prices roughly fall between what freelance creative professionals might charge and the rates of a medium-sized agency. Before requesting a cost estimate, we encourage you to review our rate card. It includes our hourly rate, how we calculate a translation quote, as well as cost-saving tips like our retainer model. How do we make a cost estimate? Creative professionals cost money. Our capital is our creativity and linguistic finesse, which we are happy to leverage to our clients’ advantage. Certain realities have to be taken into account, however. The time we have at our disposal each day is limited, for instance, and our expenses are fairly constant. So when we make a cost estimate our main goal is to make sure we are using our time (and our clients’ budget) prudently. Flat rate: We agree with our client in advance on clear deliverables, expectations and conditions. These are connected to a predefined price, so there are no surprises for either side before, during or after a job. The rate may be one sum for a whole project or, as with a translation quote, based on the number of lines of text. In this case, we define a line as 55 characters, incl. spaces. Hourly rate: Often it is difficult to know how much time will be required for a job until it is actually done. This is especially true if an English copyeditor is working on texts which were not written by us. The texts may require very few improvements or, worst case scenario, need to be reworked completely. Many of our long-term clients prefer to work with us on an hourly basis, as it is 100% fair for both sides. Sometimes we also provide a cost estimate to define the maximum budget, then we invoice only the hours we actually need. Whatever the pricing model, we do insist on having the terms confirmed in writing before we begin work. The confirmation can be in the form of a Purchase Order, a Statement of Work or a simple e-mail. Please understand that we need this confirmation in writing – before commencing our work. Ideally, we will receive a briefing from you defining the scope of the project. Even without a briefing, for a realistic cost estimate, it is very important that the deliverables are defined in advance. This requires a certain degree of communication upfront. What information is there about the target audience? Are there Corporate Language and/or Corporate Design guidelines? Is there a pre-defined budget? Depending on the project, there will be other questions, too. Of course, we are happy to work to a specific budget. Let us know your budget and we will define in advance what our creative professionals can deliver in the best possible quality for that price. Our goal is always to deliver top quality aligned with your expectations and budget. Please understand that if you are approaching us as a new client and ask us for a complex cost estimate more than 2 or 3 times without giving us a paid project, we reserve the right to not provide further quotes. Our time is precious and we take such calculations seriously. Installments: We are paid a part of the project fee upfront and the rest upon completion of the project or a project milestone. This typically only makes sense with a larger project that will last a week or longer. We can reduce our fee by approx. 10% with this option. Retainer: We are paid a defined lump sum before beginning work, sometimes for one project or often for several smaller projects. Based on a 20% lower hourly rate, we clock our hours until the retainer is used up. Since most projects are not paid until after delivery, this payment option improves our cashflow and is particularly attractive for our clients, as well. Volume-based discounts: If a cost estimate for one client or project exceeds 100,000 euros in one year, we are happy to negotiate special conditions on a case-by-case basis. Publicity: Another way we can consider giving a lower rate is if a client actively contributes to helping us get new work or new clients. The conditions will depend on the real reach you can provide and/or the actual closing of a new project. If you think you could provide such publicity, please mention this before we draw up a cost estimate. Social impact: Occasionally, we get inquiries from institutes, associations or persons involved in cultural or social activities that we deem worthy of support. In such cases, we are happy to offer special rates in exchange for publicity, a donation receipt or reimbursement in kind. You can learn more about such projects on our Film & CSR page. Success-based payment: In the field of marketing, typically all copyrights on a text or design are transferred to the purchaser. This transfer of rights means that the purchaser can make as much money as they want with the creative work without having to pay the creator again. In certain cases, e.g. when translating a longer text like a book, we are happy to negotiate that part of the payment will be success-based. In this case, steelecht would retain a copyright on the work and would receive royalties also after the initial work had been paid for. Whether you need English or German local copywriters, a German copyeditor, an English copyeditor or work by other creative professionals at steelecht, we are happy to provide a cost estimate. Salaries: Our core team at steelecht are all employees. Everyone is paid a salary which enables them to uphold a decent standard-of-living in Germany. While we constantly strive for a positive working culture at steelecht, paying a good salary is key to ensuring our staff does not fluctuate often, so our clients can count on working with the same, consistently good team for many years to come. Social costs: Since we are based in Germany, there is always a significant percentage of money we pay for health insurance, accident insurance and other mandatory and voluntary social costs. This also applies to freelance creative professionals we hire in and outside of Germany. Vacation time: We give all our employees a number of weeks of paid vacation per year in accordance with current market standards. To handle the usual flow of projects, we always make sure that not too many staff are on vacation at the same time. Our clients profit from a consistency of availability. Of course, we need to keep paying salaries, even when someone is on vacation. This is calculated into our overall fees. Sick leave: Employees or their children get sick. This is human and cannot be avoided. There is only a certain extent to which this lost time is reimbursed by health insurance, so we need to factor this expense into our cost estimate as well. Taxes: steelecht is an incorporated entity in Germany and is thereby subject to several forms of mandatory taxes. If we make a profit in a given year, we can be sure that a large proportion of it will go to taxes. Fluctuation: We work for a large number of different clients (read more on Our Clients page). This helps spread the risk of downtime, e.g. when a client happens to have less work for us. Still, there are occasionally times when not all our staff can be kept busy with paid projects. This fluctuation means that we need to have a certain buffer of cash on our account at all times. 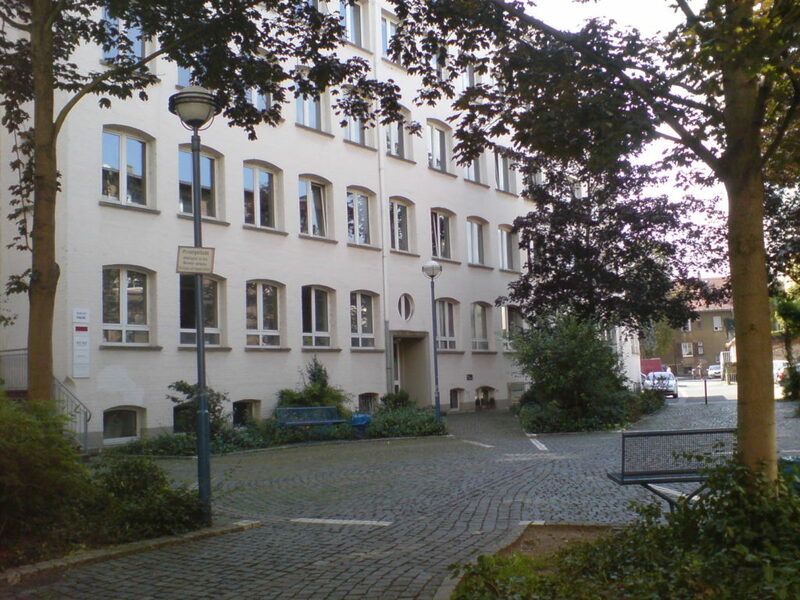 Rent & utilities: steelecht, of course, has to pay for rent and cover running expenses for a modest, yet decently equipped office in downtown Offenbach. The office is easily reachable for staff and clients, yet costs much less than a similar-sized office in neighboring Frankfurt. This helps us keeps costs low, but we still have these monthly running expenses which, after salaries and health insurance, are the third highest monthly cost factor. Telecommunications & technology: When steelecht moved into its current office in 2016, we invested in CAT-6 standard cabling which continues to serve us well even to this day. Our telephones have needed replacing in the meantime, however. We also recently invested in a secure local file server, which is regularly backed up to another secure location in Offenbach. Obviously, we also need to regularly invest in new computers and software for our staff and their daily work. We work with external IT professionals to ensure our systems stay secure and up to date. Furniture: We put top priority on our employee’s health, who spend a large proportion of their working time sitting in front of a screen. Adequate office chairs and tables are not cheap and need replacing from time to time. Further education: Whether due to new technology or advances in marketing strategy and other related fields, there is always something new to learn. We encourage our creative professionals to take part in workshops and seminars related to their work. This ensures they continue to deliver the best possible results for our clients. The cost of this further education and connected travel expenses also need to be taken into account. At the end of the day, the greatest expense at steelecht will always be our staff. We put a particular emphasis on quality, which means we only hire the most qualified staff, e.g. we would only hire an English copyeditor with a university degree in English or Linguistics as well as several years of experience in marketing and storytelling. All our employees also have a passion for communication and exhibit a unique talent in their field, which is difficult to find. Such creative professionals obviously have skills which are valuable on the market. What we charge our customer goes first and foremost to paying our highly qualified staff. We have focused on costs on this page. But this is mostly about you, our client. Your advantage in working with us is high quality, consistent availability and a reliable partner that can handle tight deadlines without losing our cool. We have very rarely lost a client. There is a reason for this and, as a result, we are convinced we are worth every cent we charge on our invoices.